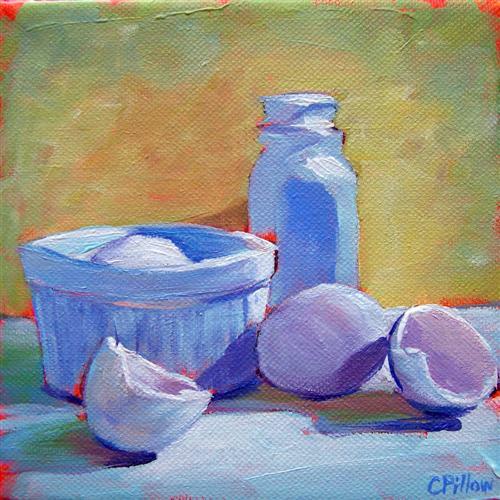 This week's DPW Painting Challenge was to paint white objects on white backgrounds to find color and value. Since I love color so much, especially on "white" things, this was a fun challenge for me! I used the photo provided for my painting.